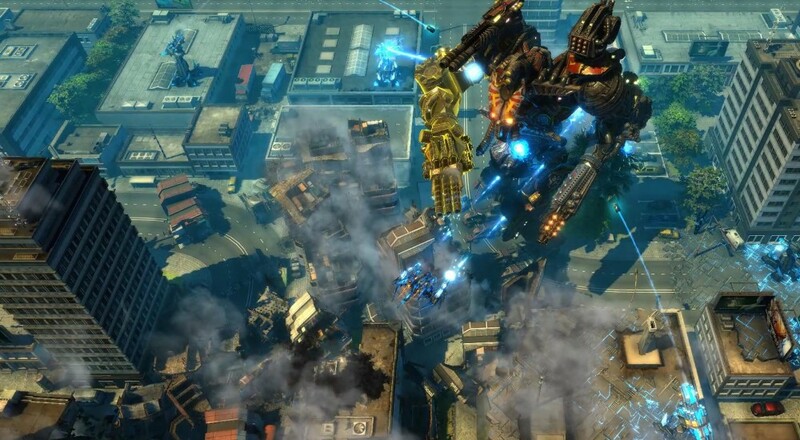 EXOR Studios' next title, X-Morph: Defense, is still on its way at some point this year, bringing with it the thrill of not only shmups but also building towers to defend against waves of enemies. The last time we checked in, we got to see some of the local co-op in action. This time we're looking at some of the enemy behavior and graphic effects, as well as just how intense the combat can get. First up, be mindful of your environment. All those explosions from enemy ships going down are more than just some pretty particle effects. If you're fighting amidst some leafy vegetation, shooting down foes may result in setting fire to the local flora. Anyways, next, EXOR shows off some of the different enemy behavior. In this short clip, we see how some foes can completely bypass certain turrets (in this case, a laser fence), but are then stopped by flamethrowers (always useful). Finally, let's see just how intense the action can get by jumping into the last enemy wave on a map. While twin-stick shooters have become overly prevalent in this age of indie games, there are still quite a few that standout due to solid gameplay (like Alienation) or interesting new takes on the genre. X-Morph: Defense seems poised to fit into the latter category and I'm interested in seeing more soon. No release date has been announced for X-Morph: Defense, but it's slated for a 2017 release on PC, Xbox One, and PlayStation 4. Page created in 0.5180 seconds.